Nathan is apart of a new breed of Sales Agent who brings a fresh approach, youthful energy and an absolute enthusiasm for the sales process. With an unrivalled passion for Real Estate, which is evident in Nathans extensive knowledge of the sales market, it is clear Nathan considers Real Estate not just a career but a hobby. Confident, approachable and diligent Nathan has a solid set of skills in negotiation, time management and attention to the smallest detail. His ability to creatively conceive and execute campaigns has seen him consistently achieve outstanding outcomes for his clients. Having been raised in Townsville he has an insight into the local property market that cannot be taught. In his endeavour to make a lasting impact within the industry Nathans clients can expect absolute commitment, consistency and a genuine flair for the craft. He believes strongly in the fact that it is a privilege to sell someone’s home and is dedicated to never losing sight of that. 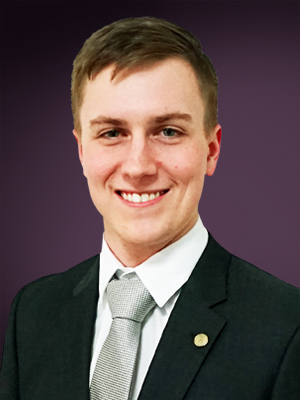 Nathan looks forward to a successful career in Real Estate through honesty, exceptional results and the cultivation of life-long relationships with his clients.